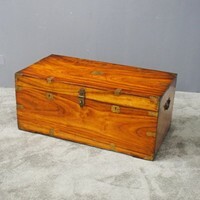 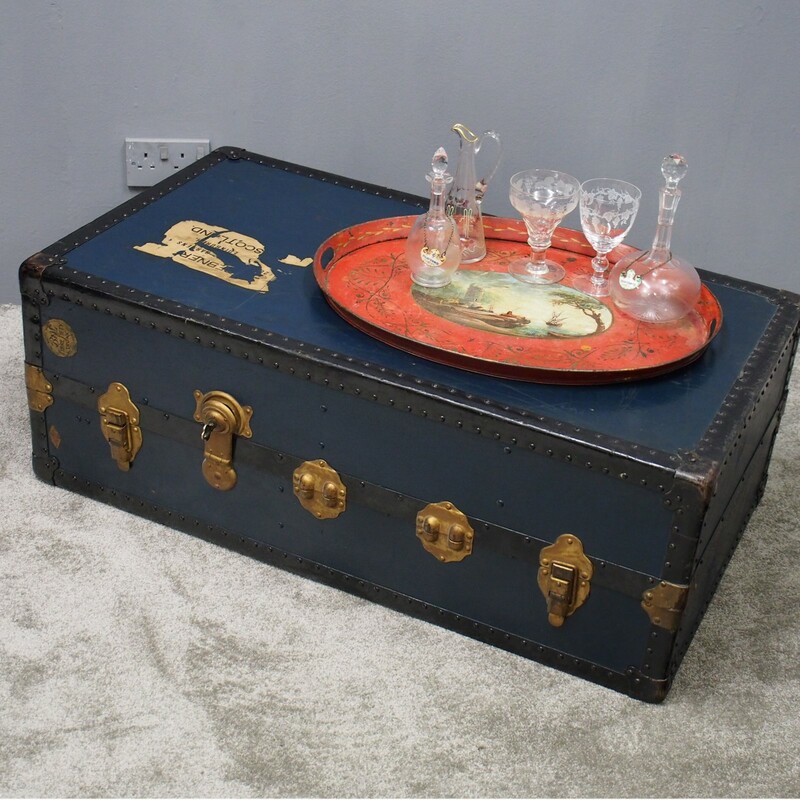 Circa 1930s, unusual and rare large trunk stamped Fibre Fifty Trunk. 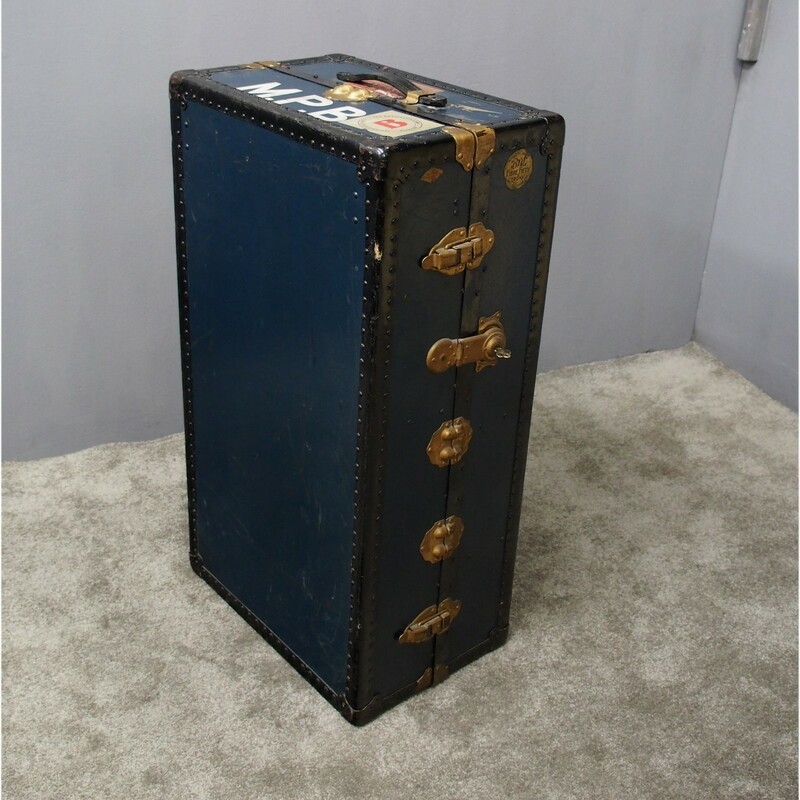 With a series of clasps, overlapping clasps and locking arms to the front for locking the trunk, it is metal bound (held in place by rivets) and painted in dark blue. 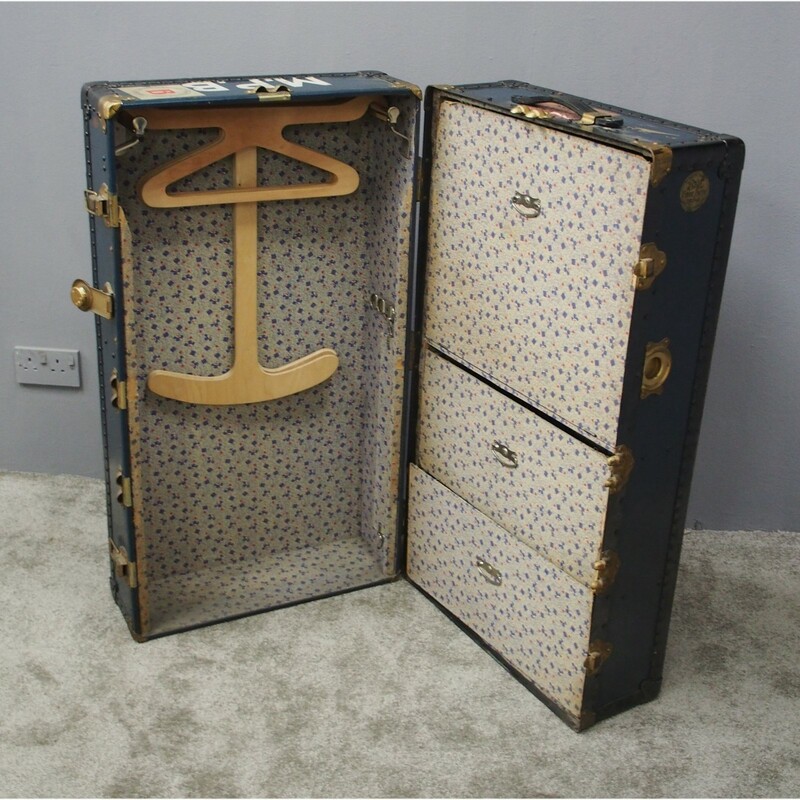 Inside it is fitted for clothes and shoe storage, and to one side if a leather lifting handle. 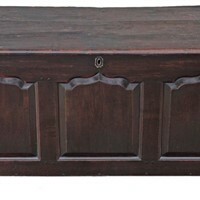 With several labels to the outside, including the initials of M.P.B, it could also be used as a coffee table and has its original key.